The George Mason University men’s basketball program has announced its 2018-19 non-conference schedule, which includes four contests against 2018 NCAA Tournament teams and a berth in the Emerald Coast Classic. The 13-game schedule features eight home games, three road contests and a pair of neutral site affairs. In all, eight of Mason’s scheduled opponents won at least 19 games in 2017-18, while five qualified for postseason play. If the Patriots face off with Baylor in the Emerald Coast Classic, that total will increase to nine and six, respectively. Mason will host an exhibition game in EagleBank Arena for the first time since the 2014-15 season. The Patriots will play Johns Hopkins University on Thursday, November 1. The Blue Jays posted a 24-5 record last season and advanced to the second round of the Division III NCAA Tournament. Johns Hopkins head coach Josh Loeffler served as an assistant coach for Paulsen during his tenure at Williams College. The Patriots open the 2018-19 regular season at home on Tuesday, November 6, with what is likely to be one of the toughest tests of the non-conference slate. Mason will welcome a Penn Quakers squad to Fairfax which won the 2018 Ivy League regular season and tournament titles, claimed 24 victories and led No. 1 seed Kansas for much of the first half of its 2018 NCAA Tournament matchup. The Quakers welcome back four of their top six scorers from that team. On Friday, November 9, Mason will play host to former CAA neighbor American. It’s the first meeting between the programs since 2013-14 and the 42nd overall. American is Mason’s most common opponent from the Washington, D.C. area. The Eagles welcome back their top-6 scorers from a year ago. The Patriots hit the road for the first time in 2018-19 on November 13 when the Green & Gold travel to Statesboro, Ga., to battle Georgia Southern. The Eagles won 21 games in 2017-18 and return their top-2 scorers, including 2017-18 All-Sun Belt First Team selection Tookie Brown. It’s the return game of a two-year series, as Mason hosted GSU in Fairfax last season. Mason will host a pair of opening round Emerald Coast Classic games in Fairfax on November 17 and 20. The Patriots will battle SWAC power Southern on Saturday, Nov. 17 as part of “90s Night” inside EagleBank Arena. The Jaguars have made two NCAA Tournament appearances over the past six seasons and went 10-8 in the SWAC last season. On Nov. 20, the Patriots take on North Carolina Central for the second time in as many seasons. The Eagles advanced to the NCAA Tournament in 2018 for the third time in the past five seasons. NCCU is an impressive 75-21 in MEAC play over the past six campaigns. Mason won last season’s meeting in Fairfax, 77-65. The Patriots open the 2018 Emerald Coast Classic in Florida with a nationally-televised matchup against AAC power Cincinnati on Friday, November 23. The game will air on CBS Sports Network at 7 p.m. The Bearcats won the 2018 AAC regular season and tournament titles and advanced to the NCAA Tournament, where UC fell in the Round of 32 to eventual Elite 8 team Nevada. The Bearcats have made eight consecutive NCAA Tournament appearances and have posted a combined 61-11 record over the past two campaigns. From there, Mason will take on either Baylor or Ole Miss on Saturday, November 24, depending on the results of Friday’s contests. That game also will air on CBS Sports Network. Baylor went 8-10 in the competitive Big 12 in 2017-18 and reached the NIT Round of 16. Baylor has been one of the top teams in the Big 12 over the past decade. The Bears are 171-79 (.684) over the last seven seasons and have made four Sweet 16s since 2009-10, including a pair of Elite Eight berths. Ole Miss has won at least 20 games in nine of the past 12 seasons and reached the NCAA Tournament in both 2012-13 and 2014-15. Mason played the Rebels during head coach Dave Paulsen’s first year in Fairfax in 2015-16. The Patriots knocked off Ole Miss 68-62 in the opening game of the Charleston Classic. For the second-straight season, the Patriots will host MEAC foe Morgan State in Fairfax. Mason leads the all-time series 3-1 and captured last season’s meeting, 86-79, on Dec. 22 in EagleBank Arena. Mason will make the trek south in Virginia for a pivotal December 1 contest at William & Mary. The Tribe returns three of its top five scorers from a 2017-18 squad that won 11 CAA contests and posted a top-100 RPI. The game will offer a premier battle in the post between Mason forward Jarred Reuter and 2018 All-CAA Second Team selection Nathan Knight. It’s the Patriots’ first trip to Williamsburg since 2013 and the return game of a two-year series, as Mason hosted the Tribe in Fairfax last season. Mason will wrap up its non-conference home slate with three-consecutive home games in a 19-day stretch. The series begins with a Monday, December 3 battle with one of the country’s premier mid-major programs: Vermont. The Catamounts have won 20+ games in 10-straight seasons and 17 of the past 20. The team has posted a 56-14 overall record over the past two campaigns, including a stellar 31-1 mark in America East play. The Catamounts won the league’s regular season title in 2018 and qualified for the NIT after falling to UMBC in the America East Championship game. Vermont earned a berth in the NCAA Tournament in 2017. James Madison is the Patriots’ most common opponent in program history. The Dukes and Patriots will square off for the 98th time on Friday, December 7 in Fairfax. JMU returns four of five starters from last season’s team. Mason has won 21 of the past 23 meetings, including an improbable 76-72 win in Harrisonburg last season. The Green & Gold erased a four-point deficit with seven seconds remaining to claim the victory. Mason will then take a two-week break for finals, before returning to the court for a pre-Christmas contest against the U.S. Naval Academy on Friday, Dec. 21. It’s the first meeting between the schools since 1991, when both the Patriots and Middies were in the CAA. Mason leads the all-time series, 14-9. Navy won 20 games last season for the first time since the 1999-00 campaign. Mason will have the opportunity to showcase its skills on the national stage when the Patriots travel to the “Little Apple” – Manhattan, Kansas – for a premier road game against Kansas State. The December 29 game will be played in Bramlage Coliseum, which is infamously referred to as the “Octagon of Doom.” Kansas State returns every key contributor from a team which reached the 2018 Elite 8 before having its Final Four bid cut short by Loyola Chicago. The Wildcats will be led by All-Big 12 returners Dean Wade and Barry Brown Jr. 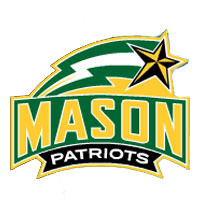 In the only other matchup between the Patriots and Wildcats, Mason upset No. 18 Kansas State in the 2008 Charleston Classic. “Playing an Elite Eight team on the road is the type of experience we feel our guys are ready for,” Paulsen said. “It’s a fitting end to a challenging slate of games that will prepare us well for conference play. This schedule will hopefully position us for potential postseason opportunities,” Paulsen said.